This remarkable necklace is the perfect piece for any fine jewelry collector. It features 83.45 carats of pear shaped natural Zambian emeralds with deep and clear green color. 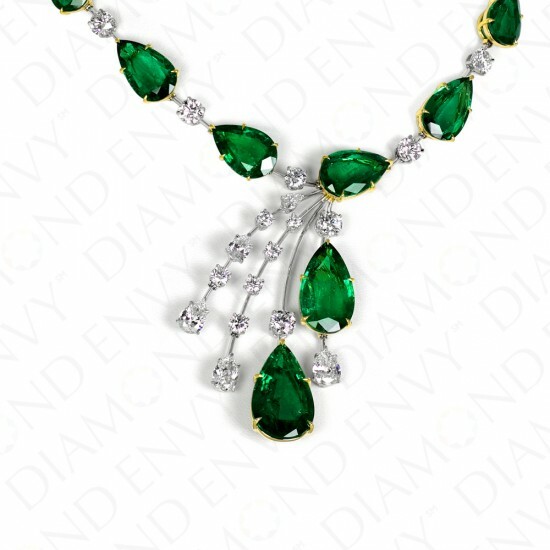 The lush emeralds are accented by 3.21ct H-I VS1-VS2 pear shaped diamonds and 10.25ct H-I VS1-SI1 round diamonds. 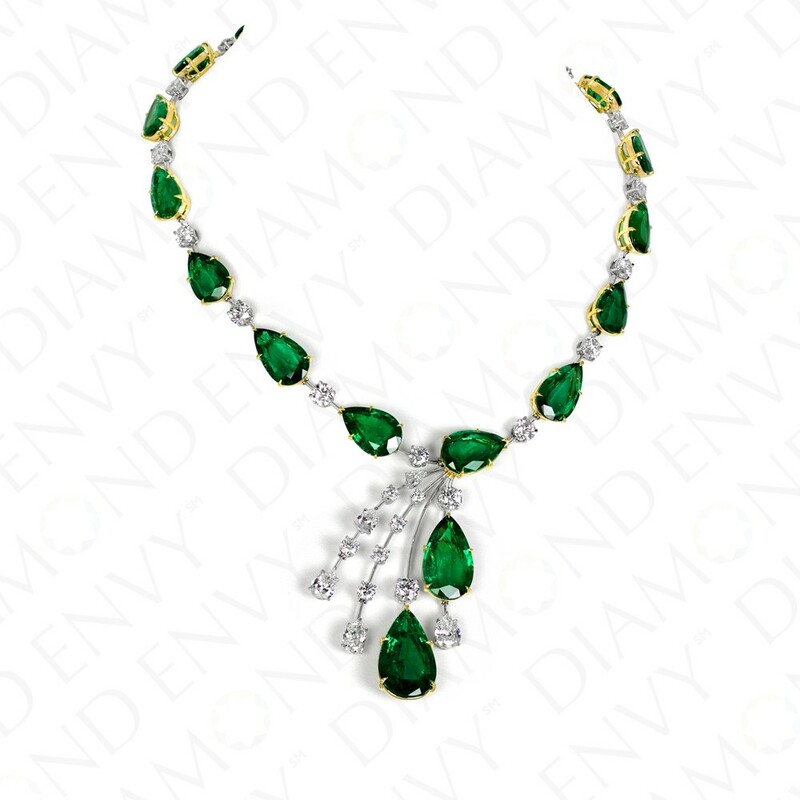 Emeralds and diamonds alternate around the neck for a very classic look, while four strands of additional gems cascade down the center in an elegant and unique design. The necklace is made of 18K yellow gold and platinum to enhance the look of each individual stone and bring a luxurious feel to the statement piece. Metals: 66.06 grams.